Detail close-up of the trajectory of the gravity center of the 9 planets of the Solar System [Agrandissement d'un détail sur la trajectoire du centre de gravité des 9 planètes du système solaire]. 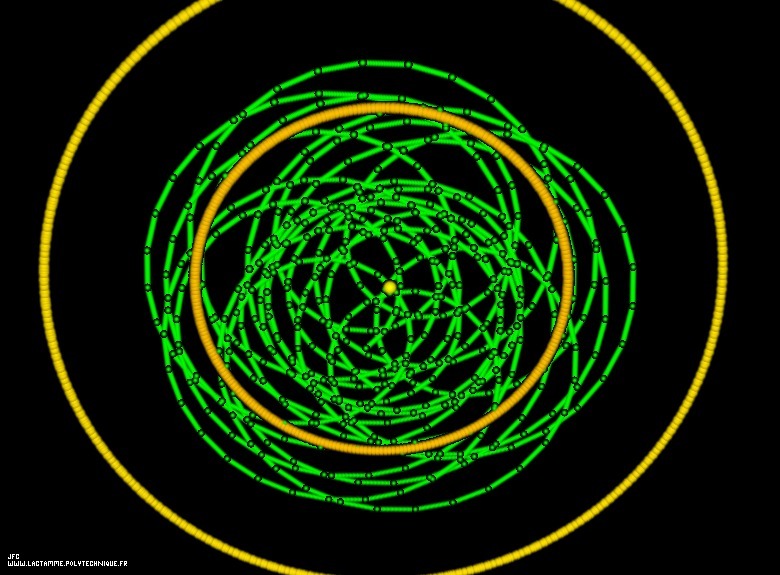 The Gravity Center of the 9 planets is computed during one plutonian year. It is displayed as a green body. The yellow body at the center is the Sun; the two orange bodies are Jupiter and Saturn respectively.